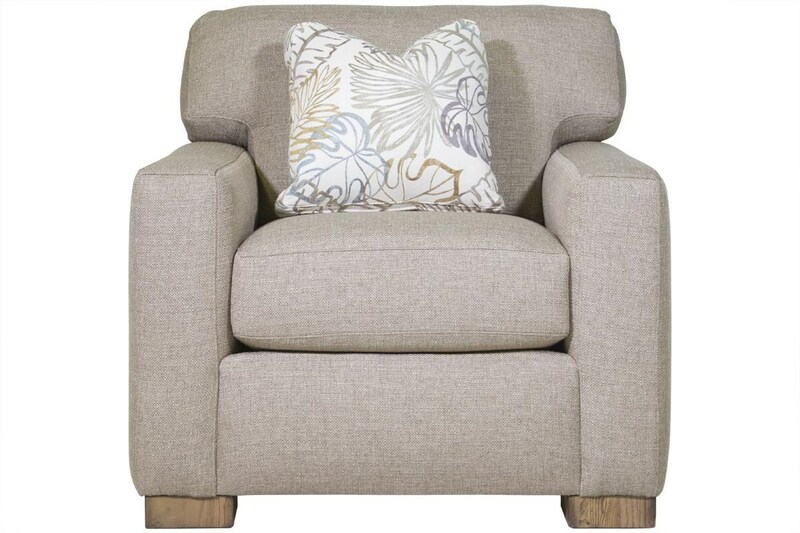 Simple and refined in design this chair will bring a contemporary style into your home. Track arms and exposed wood legs carry out the modern casual feel of the piece. 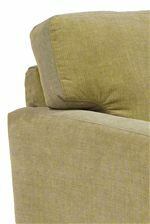 Comfortable plush cushioning comes standard and can be upgraded to extra firm luxury cushioning to match your preference. Customize your choice of fabric and wood finish to match your existing furniture or to create an entirely new look. The Bryant Chair by Flexsteel at HomeWorld Furniture in the Hawaii, Oahu, Hilo, Kona, Maui area. Product availability may vary. Contact us for the most current availability on this product. Wood & Finish Comes standard in Urban Renewal finish but can be customized. 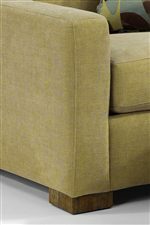 Padding & Ergonomics All cushions are plush and can be upgraded to extra Firm luxury cushioning. The Plush Cushion features 2.5 lb. high resiliency polyurethane foam topped with 1.2 lb. density polyurethane foam and a 1 oz. fiber wrap – all in a white fabric wrap. The Bryant collection is contemporary and refined. Simple and clean lines highlight the classic tailoring of the pieces upholstery. A unique feature in this collection is the cushion ledge. This feature keeps the back cushions from sliding behind the seat cushions to keep your room looking neat and tidy. All pieces excluding the ottoman come standard with comfortable plush cushioning that can be upgraded to extra firm luxury cushioning to meet your preferences. 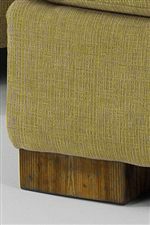 The exposed wood legs can be customized to match your choice of upholstery. The Bryant collection is a great option if you are looking for Contemporary furniture in the Hawaii, Oahu, Hilo, Kona, Maui area. Browse other items in the Bryant collection from HomeWorld Furniture in the Hawaii, Oahu, Hilo, Kona, Maui area.